Here’s every U.S. president and their preferred read. Many might cite George Washington’s book containing over 100 “rules of civility,” which he copied by hand, as being the one that impacted him the most. But it was probably the play Cato by Addison that really resonated with Washington more than anything. This 1712 historic tragedy was a hit throughout the English-speaking world, especially in the colonies. The play explores themes of stoicism, republicanism, virtue, and liberty by telling the story of a Roman politician unsuccessfully trying to prevent Julius Caesar’s rise to emperor. Washington often paraphrased the work in his letters, refashioned its dramatic speeches into his own, and even had a production performed for his troops at Valley Forge. Book: An Historical and Moral View of the Origin and Progress of the French Revolution by Mary Wollstonecraft. John Adams was (among many other things) a lawyer, statesman, diplomat, and political theorist. Oh, and he was a big reader. A REALLY big reader. By the end of his life, Adams owned over 3,5000 volumes. And, what’s more, he had a habit of taking notes inside books as he read, scribbling thoughts, reactions, and counter-arguments to the text in the margins — essentially providing a unique insight into his mind. Today, Adams’ personal library is at home in the Boston public library, where his margin notes have been thoroughly analyzed and catalogued. And the tome that received the most margin notes? A sympathetic account of the French revolution by feminist writer (and mother of Frankenstein author Mary Shelly) Mary Wollstonecraft. Adams wrote 10,000 words next to Wollstonecraft’s, many of them unkind. Hey, sometimes your “favorite” book is also the one that challenges you the most, right? Book: Whatever he was reading. If John Adams was a big reader, then his one-time friend and one-time enemy Thomas Jefferson was a HUGE reader. Jefferson was known to collect books on a wide manner of subjects and stash volumes throughout his home, Monticello, in various rooms in case he ever found himself bored or with time to kill. At one point, Jefferson’s personal library was the largest personal collection in the country. He even sold it to the government to help replace the Library of Congress when the British burned Washington down during the War of 1812. Jefferson’s constant purchasing of books also seems to have been a detriment to his finances and probably played some part in his bankruptcy at the time of his death. So yeah… picking just one book beloved by Jefferson is probably impossible. Like his predecessor, John Quincy Adams (son of John Adams) was also a poetry fan. So much so that he once wrote, “Could I have chosen my own genius and condition, I would have made myself a great poet.” He even tried his hand at crafting verse, which was met with mostly poor critical responses (though one poem was eventually included by Ralph Waldo Emerson in a collection of his favorite poems). Adams channeled his love of poetry into translating the epic German fairytale poem Oberon, which is still one of the few English versions of Weiland’s masterpiece. A president doesn’t earn the nickname “Old Hickory” by being well read. Jackson, most would agree, wasn't exactly a scholar. Some have argued that criticism of Jackson’s non-literary attributes were a bit unfair and somewhat unfounded. Yet the common claim is that the only non-secular book that he’d read was the Victorian melodrama The Vicar of Wakefield. The truth of such a claim is doubtful, but it appears that Jackson really did hold the book in high regard. Nicknamed “Martin Van Ruin” by political opponents, Van Buren’s first and only term was marred by economic hardship, which really wasn’t his fault (at least according to modern historians). Van Buren, it seems, was intent on correcting the perception of his disastrous term in office. He attempted to run again as a third party candidate seven years after leaving office, but failed. He then spent his later years writing his autobiography, which never once mentioned his wife. William Henry Harrison is best known as being the president who served the shortest amount of time, because he died of pneumonia a month after his inauguration… which isn’t a surprise, since he wore no coat, no hat, no gloves, and gave the longest inauguration speech of any president. Part of Harrison’s motivation for braving the cold and getting sick was his desire to keep up his image as a war hero. It was a persona first popularized with James Hall’s account of Harrison’s exploits, especially his “victory” at the Battle of Tippecanoe. John Tyler probably has the distinction of being the most obscure president in US history. Nicknamed “His Accidency” for being the first vice president to take over for a president who died in office, Tyler was locked out of making any effective efforts in domestic policy due to his conflicts with congress. The biggest influence on Tyler’s views was the pillar of classic economics: Adam Smith’s The Wealth of Nations. Tyler first encountered the book as a student at William & Mary and was known to memorize whole passages. Few world leaders had kept such a detailed account of their time in office as James K. Polk. Started six months into office and maintained up until two weeks before his death, Polk’s diary spans 25 notebooks and four thousand pages. Some entries are short sentences; others are several pages. As a whole, Polk’s diary offers incredible insights for historians, not only into his administration but into the overall office of president. Arguably the least-read president ever, Zachory Taylor grew up in what was then the frontier country of Kentucky. His education was sporadic at best, and his handwriting was once described as being like that of someone who was barely literate. But Taylor proved himself to be a leader, joining the US Army as a first lieutenant and rising to rank of major general, and earning recognition for his leadership during the War of 1812, the Second Seminole War, and the Mexican-American War. One of Taylor's subordinates in particular, Ethan Allen Hitchock, criticized Taylor in his memoirs for his lack of book smarts, recalling a curious incident during a military campaign when Taylor joined him in his tent and began a conversation about the English historian David Hume’s massive and incredibly dense History of England. Hitchcock wrote in his memoirs that he assumed, rather rudely, that it was the only book Taylor had ever read. Or maybe it was just the only one he wanted to talk about? Other than the fact that Millard Fillmore was the last Whig Party president, Fillmore's administration isn’t really considered that remarkable. His presidency is actually ranked in the bottom ten by most historians. But Fillmore’s rise to success is utterly fascinating. Born in a log cabin in New York State’s Finger Lakes region, Fillmore was raised in a family that only owned one book—a copy of the Bible—for him to learn to read with. So, while apprented to a clothes-maker as a teenager, Fillmore bought a dictionary and used it to expand his vocabulary, sometimes studying it while carding wool. It was the dictionary that would lead Fillmore to a better life as a lawyer’s apprentice, a career in politics, and eventually the White House. Franklin Pierce is considered by many to be one of the worst presidents in American history. 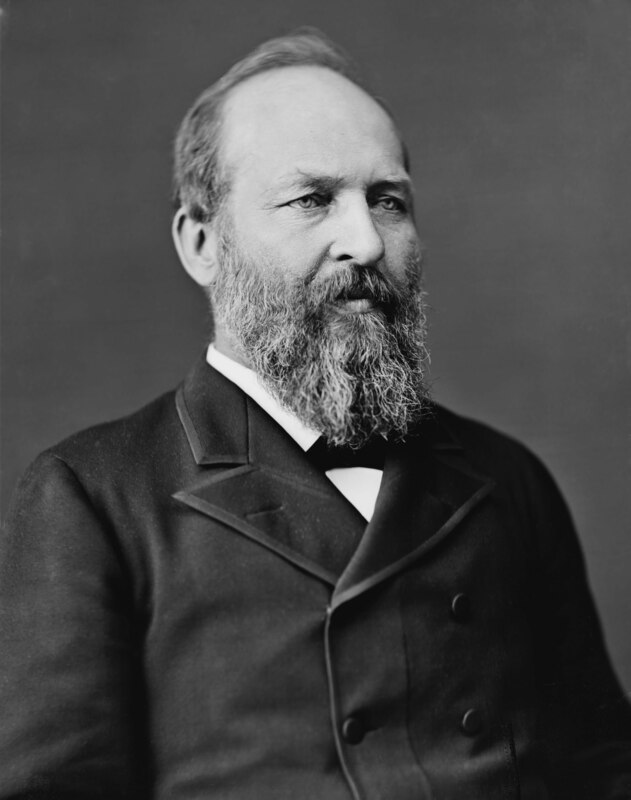 He is best known for ineptly leading the country further down the path to civil war and getting arrested for running over a woman with his horse during his first year in office. So how did this no-name senator from New Hampshire get elected in the first place? The best-selling and most read author of his day, Nathaniel Hawthorne (yes, that Nathaniel Hawthorne) wrote an inspiring and sympathetic biography of Pierce that painted him as a national hero. And it was published JUST before the election. Why did Hawthorne write the book? Because he and Pierce were old college buddies. James Buchanan’s failure to keep the South from seceding is why many consider him to be one of the worst presidents of all time. His lifelong bachelorhood is why many others consider him to be the first gay president. His hero was George Washington and he wished for his presidency to be like the first president's. So it makes sense that Buchanan owned a copy of Jared Sparks’ bestselling biography, The Life of George Washington. Was his favorite book? Perhaps not, but it was about his favorite president. Most biographers admit that many people in Raleigh, North Carolina considered young Andrew Johnson and his family white trash. 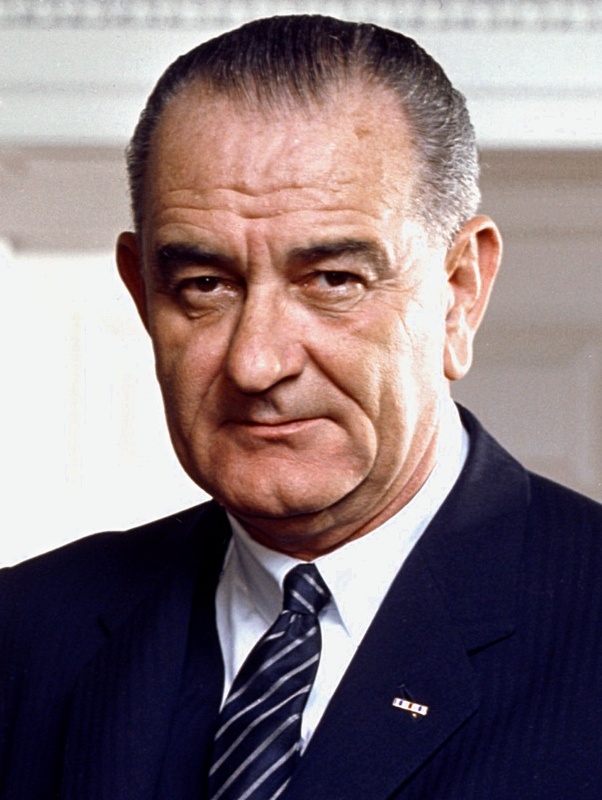 Johnson's parents were illiterate and he was apprenticed to a tailor shop as a young teenager, where he was taught the basics of reading and writing. Customers used to come into the shop to read to the tailors and one gave Johnson a copy of The American Speaker, the first book he ever owned. Johnson practiced his reading with the book and kept it with him for the rest of his life. "How many times I have read the book I am unable to say,” he would say years later. “But I am satisfied it caused my life to take a different turn from what it otherwise would." Ulysses S. Grant was a better general than a president. His presidency was marred by an economic collapse and congressional investigations into financial corruption within his administration. But Grant’s military career didn’t have the most prosperous start either. In his own personal memoir, written at the end of his life, Grant admits to blowing off his studies at West Point and instead spending his time reading popular novelists in the library, like James Fennimore Cooper, Washington Irving, and Walter Scott. But Edward Bulwer-Lytton is the one that Grant recounts reading the most, claiming to have read “all of Bulwer’s [novels] then published.” By the time Grant had started at West Point, Bulwer had published over 15 novels… which is probably why Grant graduated 21st in a class of 39. Rutherford B. Hayes is often credited with working to smooth over the end of reconstruction and restore public faith back in the office of the presidency. One of Hayes' major inspirations for beginning his political career was famed Civil War-era politician Daniel Webster, who gained national recognition as an orator. Hayes, while working as lawyer in Cincinnati, gained the confidence of his associates by eloquently reading Webster’s speech out loud. Chester A. Arthur was a relative unknown thrust into the presidency, but his dedication to reform earned him public gratitude by the time he retired at the end of his term, due to poor health. In summing up his career, one journalist wrote, “No man ever entered the Presidency so profoundly and widely distrusted as Chester Alan Arthur, and no one ever retired... more generally respected, alike by political friend and foe." Arthur’s biographers don’t mention any specific book or novel that he loved but one does mention that he enjoyed reading either Dickens or Thackeray in his off time, while another cites him frequently quoting both. 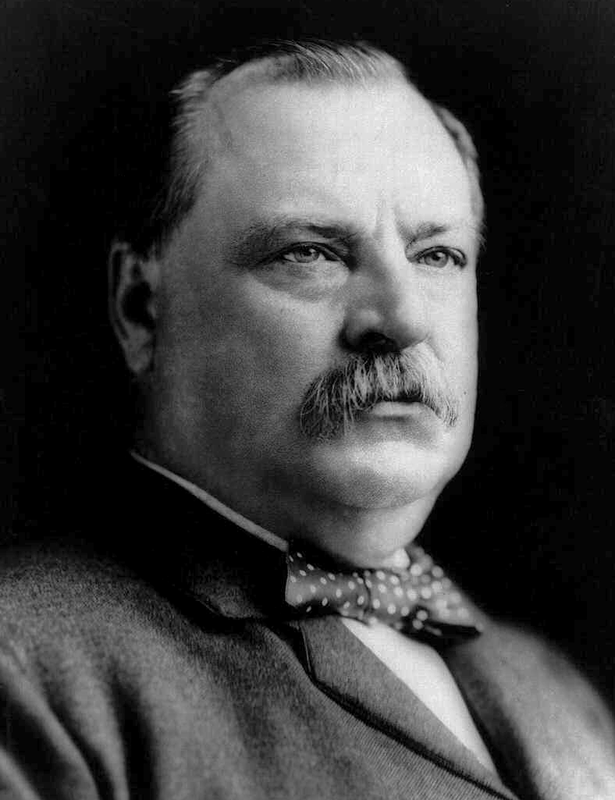 Grover Cleveland is the only President to serve two nonconsecutive terms, meaning he’s both the 22nd and 24th president. 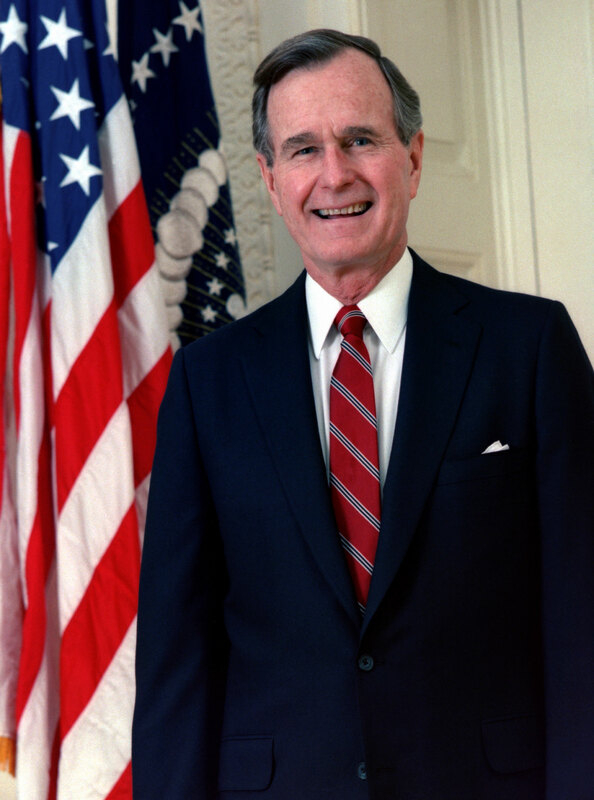 Despite an economic depression hitting the country in his second term, many still saw Cleveland as an honest leader and strong policymaker. But before he was president, and before he was governor of New York, Cleveland was a young guy desperate to learn the law. The story goes that when he started an apprenticeship with a law firm in Buffalo, the senior partner banged down the first volume of Blackstone ‘s Commentaries on the Laws of England‬, the preeminent law book of its day, and gruffly told the young Cleveland, “That’s where they all begin!” Cleveland would go on to study and master the volume as the first step in his legal and eventual political career. As one biographer explained: “It was not a novel, but it was absorbingly interesting to a youth who regarded it as the gate through which he must pass to success in life, to wealth, and to honorable fame." Like so many people of his time, Benjamin Harrison was a noted fan of Walter Scott’s so-called “Waverly novels.” From a young age, he absorbed Scott’s swashbuckling tales of adventure and honor. It’s probably what influenced the then 29-year-old Harrison to not only volunteer to serve in the Union Army during the Civil War without any prior military experience, but also recruit a regiment on behalf of the governor of Indiana. Harrison would start off the war as a second lieutenant, march with Sherman, fight in the battle of Nashville, and finish his military career as a brigadier general. Teddy Roosevelt found himself something of a kindred spirit when Alfred Mahan published his cornerstone of naval history in 1890. Roosevelt was in New York at the time, working on the Civil Service commission, but that didn’t stop him from writing to Mahan and beginning a relationship that would last for years, which became especially useful when Roosevelt was appointed assistant secretary of The Navy years later, and became the president who launched "The Great White Fleet" after that. Book: Something about the Supreme Court… probably? You don’t need me to tell you that William Taft was the fattest president in US history, or that he once got stuck in the White House bathtub. Nope, those are “facts” that everyone knows. Well, how about this: Did you know that Taft didn’t really want to be President? Yep. In fact, Taft, a lifelong constitutional law junkie, had his sights set on the top of a completely different branch of the federal government. He once said, “There is nothing I would have loved more than being Chief Justice of the United States.” In 1921, he finally got his wish. Taft was the Chief Justice of the Supreme Court for nine years. Walter Bagehot was a 19th century journalist and essayist who wrote about government and economics. And Woodrow Wilson was a super fan of his work. Wilson, the academic politician, discovered Bagehot’s writing his junior year of college and was so influenced by his work that he referred to Bagehot as his “master.” Wilson even took a pilgrimage to where Bagehot is buried and picked a leaf off his grave, which he mailed with a letter to his wife asking her to save it for him. 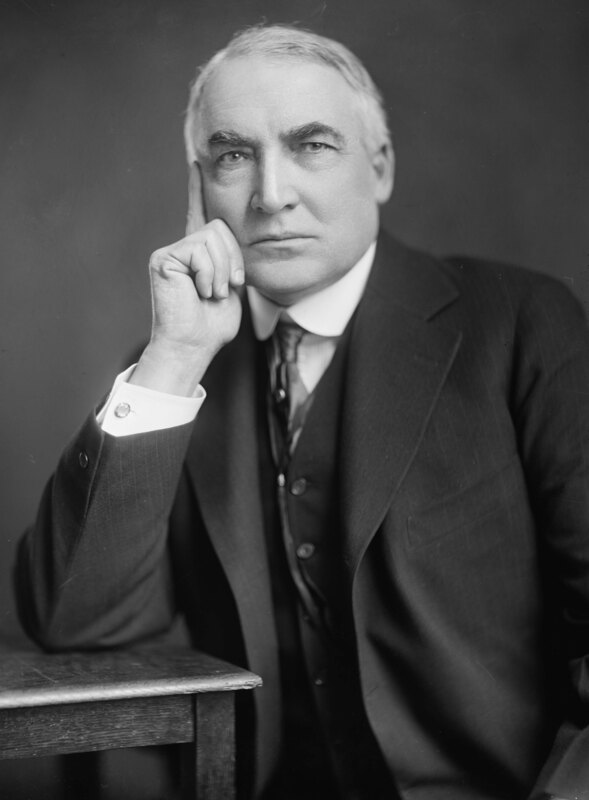 If a historian doesn’t personally consider Warren G. Harding the worst president of all time, then he’s at least in their top three. A newspaper publisher who won with a strong majority by running on the slogan “a return to normalcy,” Harding was pretty much out of his element right from the beginning and even once said, "I am not fit for the office and should never have been here." But along with the incompetence, and the cronyism, and the extra-marital affairs (one of which resulted in a child out of wedlock), there was Harding’s gambling problem. The man loved to play cards—poker especially. So much so that he actually once lost the White House china in a single hand. Seriously. Even though it’s been over 80 years since Calvin Coolidge’s presidency ended, experts are still somewhat split on their opinions of it. But no matter what the long-term historic effects are, Coolidge’s quiet sternness and competency gave the American public some relief following the insanity of the Harding years. The biggest influence on Coolidge’s political philosophy was Roman politician and philosopher Cicero, whom Coolidge discovered while studying classics in high school. According to biographer Robert Sobel, Coolidge read so much Cicero that he became fluent in Latin as a result. Coolidge seems to have been drawn to Cicero’s skill in oratory and his overall philosophical stance. As another biographer, Hendrik Booraem, explained: “Cicero opened his eyes to the possibility of using oratory in his own life, of becoming an orator himself." If you know anything about Herbert Hoover’s life, you’ll understand why he favored Dickens’ David Copperfield above any other book. Like the Dickens character, Hoover was an orphan with a troubled childhood who persevered despite all that happened to him. Hoover was a self-made man, working his way through Stanford (then in its first year) and eventually becoming a millionaire in the mining industry. FDR’s lifelong love of Kipling is pretty much a matter of record and has been used more than once to highlight Roosevelt’s “imperialistic views” (what with Kipling writing the mother of all imperialistic poems). According to the Franklin D. Roosevelt Library and Museum, his favorite poem by Kipling is “If”. Harry Truman received the four-volume set of Charles Francis Horne’s The Lives of Great Men and Famous Women from his mother when he was ten years old. “The lives of great men and famous women intrigued me," Truman once wrote, "and I read all I could find about them." He kept the books for the rest of his life. The only specific title listed by the Dwight D. Eisenhower Presidential Library Museum and Boyhood Home amongst the five-star-general-turned-president’s favorite books, besides The Bible, was the Mark Twain satire about an engineer somehow sent back from 1880s Connecticut to Arthurian England. The pairing of James Bond and John Kennedy really isn’t that shocking, since both were icons of the early 60s. But the connection goes deeper that. He’d gotten into the Bond series after a friend had given him a copy of Casino Royale while recovering from back problems. 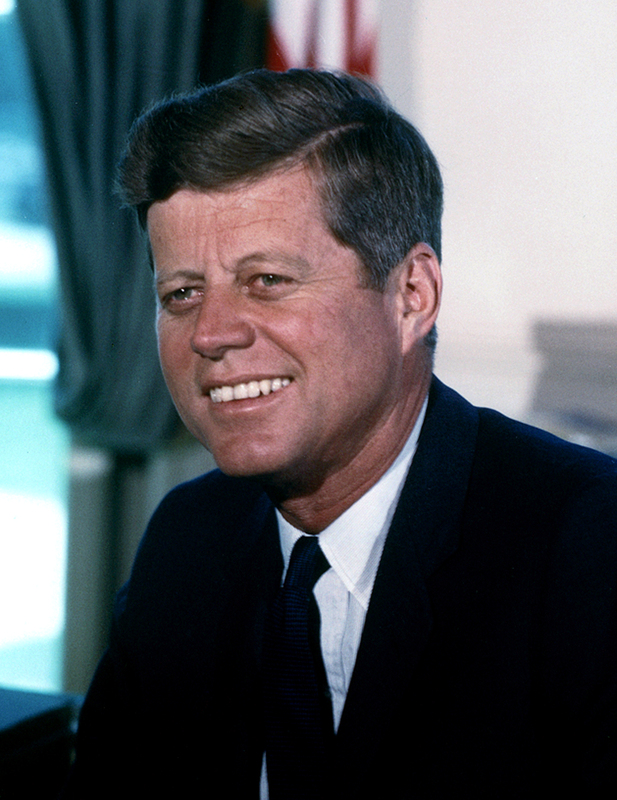 The last film that Kennedy ever saw was a private screening at the White House of the film version of From Russia with Love, shortly leaving for Dallas. Jimmy Carter, the peanut farmer turned politician, has the distinction of being the only U.S. president who lived in publicly subsidized housing for the poor. It’s probably one of the experiences that made him so keen to help those in need. Another likely influence is the Agee and Evans book documenting the plight of depression-era sharecroppers in the South during the Dust Bowl. In numerous interviews, Carter has cited the book as being extremely influential in his life. “What impressed me with that book,” he said in a 1991 interview, “was a tremendous chasm between people who have everything, who have a house and a job and education and adequate diets, and a sense of success or security, who want to do good things, and the vast array of people still in our country who don't have any of these things, and whom we seldom, if ever, know." 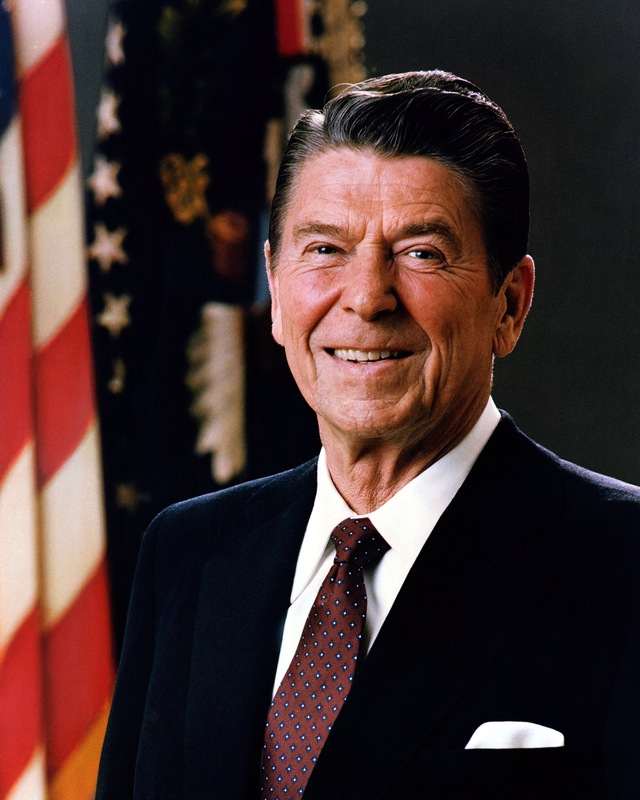 No novelist and president have ever been linked quite like Tom Clancy and Ronald Reagan. Clancy wrote his first novel, The Hunt for Red October, while working as an insurance agent. It was the first novel published by the U.S. Naval Institute Press and was given to Reagan as a gift. The president then mentioned the book in a press conference, calling it “"unputdownable." The praise helped launch Clancy’s career and led to a decades-long association between the two, with Clancy’s style often described as being a product of the Reagan era. 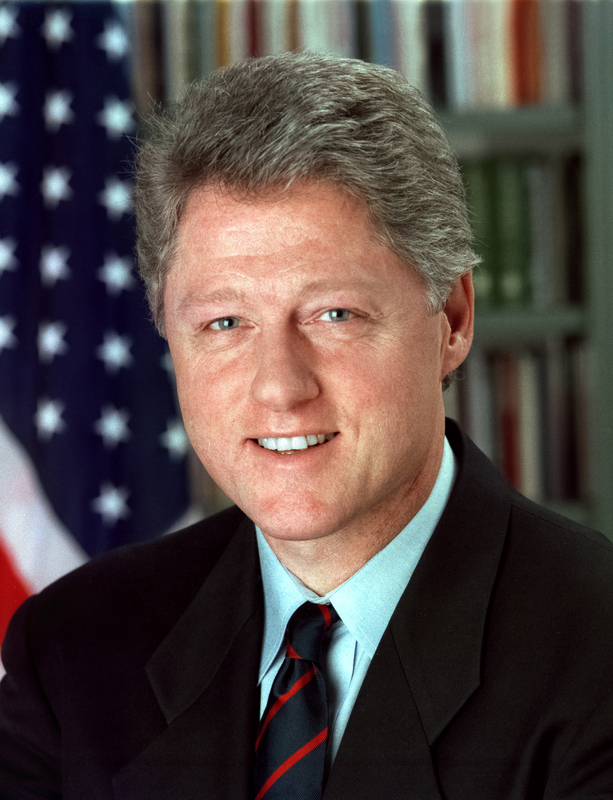 Bill Clinton is a tough reader to track, as a consumer of both thought-provoking non-fiction and playful genre thrillers. In 2003, as part of the buildup to his presidential library opening, Clinton compiled a list of his 21 favorite books. In the summer of 2011, he replied to a questionnaire from children’s publisher Scholastic asking about his favorite reads with a list of 11 titles. Later that year, he appeared in a segment on MSNBC to discuss his list of “must reads.” The one book on all three lists? Marcus Aureilus’s Meditations. 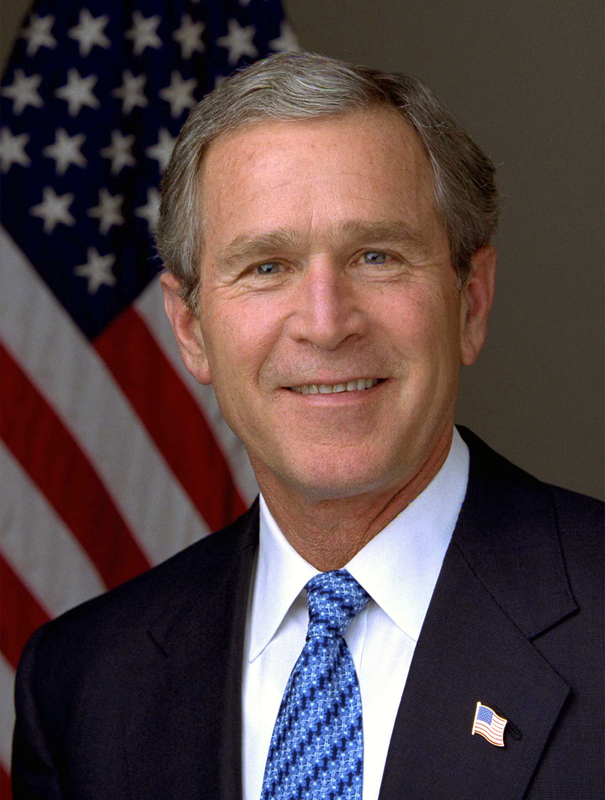 George W. Bush isn’t exactly seen as a big reader. The former president’s knack for flubbing wording during speeches and common man public persona that bordered on “aw shucks” didn’t help assuage such perceptions. But according to Karl Rove, Dubya actually reads more than most self-proclaimed bibliophiles. In a 2008 op-ed for The Wall Street Journal, Rove claimed that he and the former president engage in a yearly challenge to see who can read the most books. In 2006, for example, the then-president put away 95 books to Rove’s 110. But the one book that Rove claimed Bush read every year, cover to cover? The Bible. The current president is a healthy reader. His vacation book lists, which he shares with the press, are usually packed with the most recent bestsellers. Whole news cycles (usually the slow ones) have been dominated by the latest tome seen tucked under his arm. He even wrote a personal note to Yann Martel, the author of Life of Pi, to let the writer know how much he and his daughter enjoyed reading the novel. 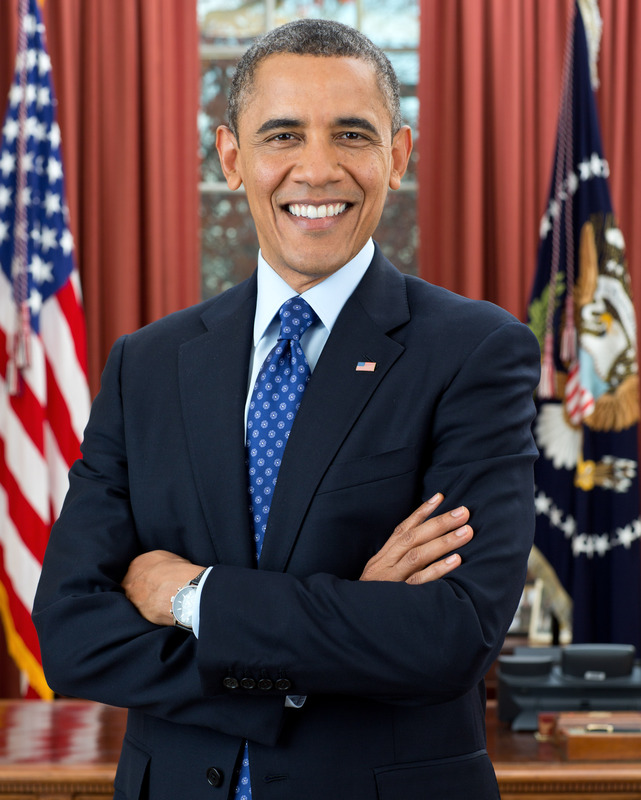 Whenever President Obama is asked about his all-time favorite books, he often lists quite a few titles and usually a different group of titles each time, but two books that have consistently been listed by the president are Self-Reliance by Ralph Waldo Emerson and Song of Solomon by Toni Morrison. Dave Odegard is a freelance writer and editor. He lives with his girlfriend and their dog in Brooklyn. Feel free to stalk him online at DaveOdegard.com or on Twitter @WordNinja.